Description Dominic's spy novel Hoodwink is a gripping follow up to his three previous novels, Diplomatic Cover, The Treason Line and A Mission of Mercy. 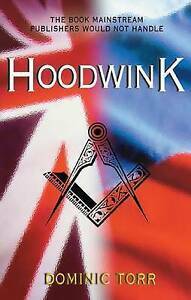 It is set in the secret world of Freemasonry, our last taboo subject and a cause of real concern for many of us. Author Biography Dominic served in the British Diplomatic Service during the Cold War. He has drawn on his experiences in several countries when writing his spy stories. Hoodwink benefits from his work in Germany in the last days of the German Democratic Republic. Now retired, he lives with his wife in France, continuing to work in international affairs. With grandchildren arriving he is particularly concerned to help counter political reluctance to act on climate change.